I don’t recall hearing too many yays from the crowd. Am I happy with the way that I look? Sort of. But I don't really like these laugh lines forming. And I could stand to get rid of this wrinkle by my right eye. And the puffiness under my eyes has to go. On and on I went in my head. Okay I know I’m being a bit dramatic. Dr. Graf then began to go more in depth about energy being the main component in how beautiful we are and feel. She stressed the importance of correcting the inside, which will then have a positive affect on the outside. Makes any sense? Let’s me explain just a bit. We eat to receive nutrients that give our bodies energy. When we are putting the right foods into our bodies, the results are then high energy and glowing skin. Who wouldn’t agree that having glowing skin isn’t beautiful? Dr. Graf also informed us of how important having a balanced body pH of 7.4 was to achieving beauty from the inside out. We were all given a tiny box of pH strips to test ourselves. Can you just say nervous? Sigh. We won’t discuss my pH number at this time. Let’s just say, now I know why I’m always so tired and constantly reloading my Starbucks rewards card. Grrrr. Needless to say, I will definitely be working on increasing my pH number, 7.4 here I come! 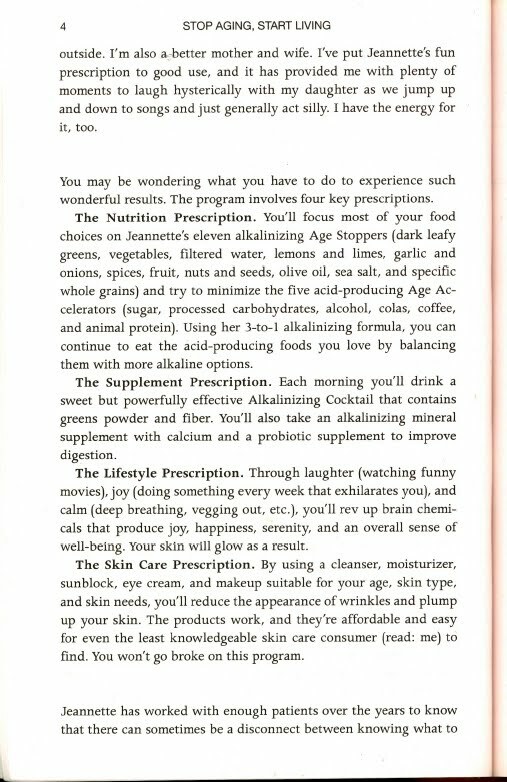 Before dispersing, we were all given and encouraged to take Dr. Graf’s Skin Care Challenge, a two-week based pH diet outlined in her book Stop Aging, Start Living. 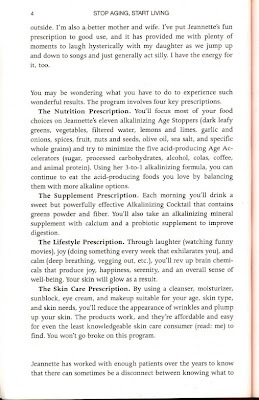 So who’s going to join me on this crusade in gaining beautiful, glowing skin and an abundance of energy beyond belief? Come on guys! Make-up is not the answer to glowing skin. We must start the make over process from within. Stay tuned as I prepare to take Dr. Graf’s challenge. Prayers please. Hopefully some of you will be doing it with me. If you are, let me know. Now for a bit of fab fashion. What trend did I spy? Statement necklaces. 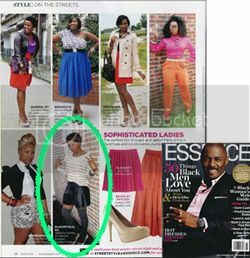 I got glimpse of a few fab chicks in attendance sporting the fab trend. I must say they all pulled it off fabulously! Sidebar: Karen Oliver shared with me an awesome story about her vintage necklaces. She was wearing a mixed of vintage Chanel she inherited with other rare vintage finds. Catch me one day and I'll tell you her great story about her vintage Chanel collection. The necklace Allyson is wearing is actually her own creation. She not only blogs, but she's a jewelry designer! See more pics from the event here.